Nantucket Island's annual celebration of spring is just around the corner; April 26 - 28, 2013, to be exact. It is easier than ever to day-trip to the annual Nantucket Daffodil Festival. In addition to their regular schedule on their high-speed ferry, Hy-Line Cruises has added a number of additional trips to accommodate all the folks who would like to attend. The trip is just one hour dock-to-dock. We are offering a special weekend rate for folks who may want to stay on Cape Cod and day-trip to Nantucket to enjoy the festivities. daffodils will travel along the winding roads throughout the village, making their way to Siasconset for the annual tailgate picnic. The parade begins at 12:00 noon. For your viewing pleasure, find your spot early in the day. The Nantucket Garden Club's Daffodil show is being held at Bartlett's Farm and will be open to the public on Saturday from 2 pm until 5 pm and on Sunday from 10 am to 4:30 pm. Admission is free but donations are greatly appreciated. There will be a free shuttle bus on Saturday starting at 1:45 pm from the Greenhound out to Bartlett's Farm. The Greenhound building is located at 10 Washington Street in Nantucket Village. All weekend there will be a Scavenger Hunt in which all are invited to participate and there will be prizes awarded. Clue brochures are available at the Nantucket Chamber of Commerce office on Main Street. You can contact the Chamber at 508-228-3643 for more information. Other fun activities include a Daffy Hat Pageant with categories for children and adults. There will be a Daffy Dog Parade with ribbons awarded for the best daffodil costume. A used book sale will take place at the Atheneum Gallery located at 1 India Street and a jazz concert featuring the Glazer, Walder, Goss Trio will take place there in the Great Hall from 3 - 4 pm. Island children have created a Giant Daffodil Garden located on Milestone Road. 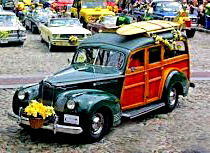 A full schedule of event is available on the Nantucket Daffodil Festival website. Hy-Line Cruises has added the following additional trips to their normal schedule for Festival Days. For a complete schedule of departures and arrival times, see their website. You can reserve online or by calling 1-800-492-8082. 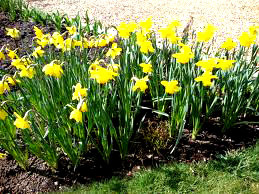 Grab you daffiest daffodil bonnet and come stay at our inn for the weekend and take advantage of our special Daffodil Festival weekend rate. Don't forget to make your reservations to travel to Nantucket aboard the Hy-Line Cruises fast ferry. Now that the weather is vastly improved, folks are looking to get out of the house and enjoy the sunshine. This is a great time of the year to visit Cape Cod. Here in Sandwich Village, all of our wonderful restaurants are open as are most of the museums. The snow is gone from the bike paths and hiking trails and the rivers and streams are navigable by canoe or kayak. 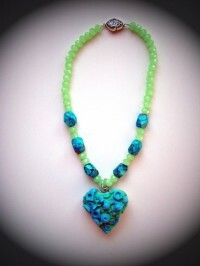 It's time to get out and enjoy the fresh sea air and shake off the vestiges of winter. Bay. 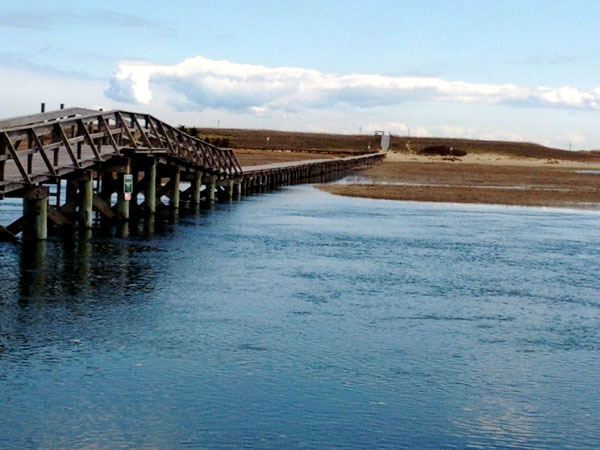 You can also head over to Scorton Creek when the tide is coming in and make your way along the creek and under the bridge at Route 6A and out into the marshes to meander deep into the estuary and explore the wildlife and plant life there. You can rent kayaks by the hour or check with Justin about one of his 2-hour guided tours of the Sandwich estuaries. He offers per person and per couple rates. 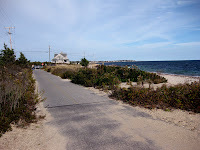 Bring your bike or rent one from Ecotourz and head for the Cape Cod Canal Bike Path. The 6 to 7mile ride along the canal will re-energize you mind, body, and spirit. If that isn't long enough for you, the head of the Shining Sea Bike Path is just up the road in North Falmouth. There is plenty of parking there and you can bike all the way to Falmouth or on down to Woods Hole if the spirit moves you. The path is 10 miles long so just make sure you have the legs to make your way back to where you parked. If kayaks or bikes are not your cup of tea, there are wonderful hiking trails in Sandwich and East Sandwich. Murkwood in East Sandwich is just a mile and a half long and loops through woods and along the salt marsh. This is a great trail for beginning hikers or for the first outing of the season as it is fairly flat. It will only take you about an hour and then you will be ready for a hot cup of coffee and a brownie at Momo's on Route 6A. 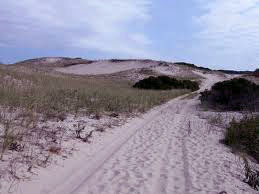 If you are hale and hearty and looking for a longer trek, head over to Sandy Neck for a hike along the beach. This barrier beach offers wonderful views of Cape Cod Bay as you make your way through the dunes. 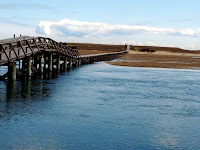 If you choose to hike along the back side of this spit, you will have beautiful views across to Barnstable Harbor. Stop by the Brown Jug in Sandwich Village and pick up sandwiches and snacks before you head out and be sure to dress warmly this time of the year because the wind off the bay can be quite cool. After a day exploring, your will be ready for a hearty dinner and a good night's rest. Come stay at our inn and we will be happy to help you plan your outdoor adventure and are make reservations for you to enjoy dinner at one of Sandwich's great restaurants. We are sprucing up the inn and getting ready for guests as we open for our 11th season here in historic Sandwich Village on Cape Cod. There's an awful lot to do in the gardens as the winter was not kind to us. Charlie is always excited that it is burn season and he can pick up the downed branches and twigs from the winter storms and set flame to them....always somewhat scary for me to watch. We love living on Cape Cod and enjoy all of the seasons, but spring is particularly exciting to observe as it unfolds from the long winter. As the weather warms, each day is a new visual adventure as trees take on that green haze of burgeoning leaves and flowers begin to show their new faces. Equally exciting is the opening of Heritage Museums & Gardens and new exhibits at the already open Sandwich Glass Museum. It will be a few weeks yet until the circa 1640 Dexter Grist Mill opens along with the Hoxie House (the oldest on Cape Cod). The official opening of Heritage Museums & Gardens is April 13th. with an exhibit that we cannot wait to visit. It is called Driving Our Dreams: Imagination in Motion. Featured in this amazing exhibit will be concept cars that were imagined by some of the country's most creative designers. 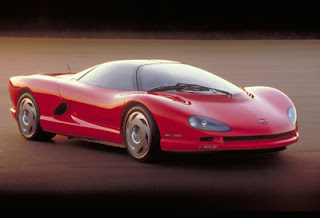 These are the folks who dream up what we will be driving tomorrow. We will post a follow-up blog with photos of our visit that we hope will entice you to plan your own. Beginning on May 18th., is another in the series of outdoor are exhibits that began last year with Whimsical Garden Gates (one of this bloggers favorites of the year). This years' exhibit is Moving Landscapes featuring wind and human-powered sculptures created by a group of four artists. The opportunity to observe the results of this kind of creative collaboration is so exciting. The primary and ever-changing exhibit at Heritage is, of course, the 100 acres of trees, shrubs, and flowers that surround the sweeping lawns spreading from the flume to the windmill and along the pathways that lead to amazing museums that are open all season and just beckoning a frolic. We are members at Heritage M&G and take advantage of every opportunity to visit. The pleasure of just strolling along the paths and enjoying the aroma of flowering plants leaves one with such a sense of well-being. There is always something wonderful to experience at our famed Sandwich Glass Museum. This year is no exception. On exhibit now through July 21, 2013 is Portraits of Sandwich - Denizens of Cape Cod's Oldest Town, a collection of portraits of a bygone era focusing on 19th century Sandwich. Featured are glass factory workers, war heroes, artists, and local celebrities. Although not featured in this exhibit, a portrait of our own Charlotte Hall (Lottie) Chipman is on permanent display in the foyer of the oldest part of the museum. She donated the property to the Sandwich Historical Society in 1909 and was the last of the Hall family descendants to own our house. Now through October, the work of hot glass artist Bryan Randa will be featured in an exhibit entitled Life Forms. Mr. Randa's work has been influenced by nature from birds to aquatic life with the major focus of this exhibition being creatures from the ocean. What could be more appropriate for Cape Cod? Of course, Sandwich is currently home to Mr. Randa as, for the last nine years, he has resided here and apprenticed under David McDermott and Yukimi Matsumoto, two of Cape Cod's most gifted glass artists. Beginning August 1, 2013 will be an exhibition of works by glass artist Debbie Tarsitano detailing the evolution of her career from early oil painter to hot glass artist. Ms Tarsitano is featured in collections of major museums throughout the continent. How fortunate, not only for those of us who reside here but for visitors alike, that our quaint and historic village is home to so many wonderful museums and gifted people. Come for a visit. Stay at our bed and breakfast and experience living history in the most special way.